Welcome to the January 23, 2019 edition of ACM TechNews, providing timely information for IT professionals three times a week. 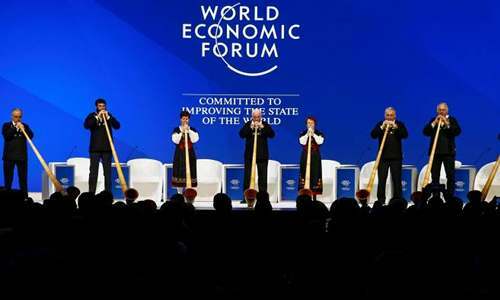 This week's World Economic Forum in Davos, Switzerland, has been marked by caution in raising the specter of technology's negative ramifications, instead playing up its benefits. For example, discussions of digital financial tech have reflected reticence to cite security issues. Many delegates are voicing concerns about the growing conflict between western governments and businesses on developing less-ambiguous rules for ensuring the free flow of information across borders, as well as the control of information flow exerted by more authoritarian regimes. Another challenge highlighted at Davos is tech companies' struggle to uphold public trust in big data management without undercutting profitability. Seamless global data governance standards appear unrealistic, with U.S. delegates arguing for minimal regulation, while Chinese representatives favor centralized control to drive advanced tech like artificial intelligence; Europeans, however, prefer prioritizing citizens and their privacy over consumers. The University of Virginia (UVA) announced it will establish a school of data science with a $120-million gift from the Quantitative Foundation. The foundation was started by UVA alumnus Jaffray Woodriff, CEO of the Quantitative Investment Management hedge fund, which uses machine learning to make investment decisions. Said UVA president Jim Ryan, "This is a historic announcement, both because of the gift itself and because of what it means for the future. Data has the potential to shape our world in ways we are only now beginning to understand." Ryan said the new school will provide both doctoral and undergraduate degree programs, as well as certificate programs. A three-day gathering at the Massachusetts Institute of Technology (MIT) last week brought together expert panels, debate, and discussions on artificial intelligence (AI), in support of the Organization for Economic Cooperation and Development’s (OECD) hopes to arrive at consensual recommendations for AI policy by the summer. OECD's goal is to cultivate responsible economic development, with innovation and societal safeguards kept in balance. Among the event's prioritized themes was the need for regulation to ensure AI can prosper without undermining public trust in the technology. Other highlighted issues included international cooperation on AI development to guarantee universal benefits, and the appropriate and ethical collection, handling, and use of data. According to MIT's Antonio Torralba, "Access to data is going to be the most important thing" for advancing science. 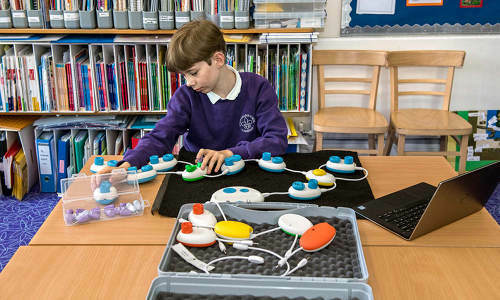 Microsoft is testing an educational programming kit for visually impaired children that uses differently-shaped blocks or "pods" that each embody a line of code, and which can be attached in patterns. With the Code Jumper kit, users can combine pods and adjust buttons on the pods to generate an audible output, like a song or joke. Microsoft's Nicolas Villar said Code Jumper offers greater usability to visually impaired students than most existing tools, which are mainly graphical. Microsoft said it will hand over Code Jumper's research and technology to the nonprofit American Printing House for the Blind (APH), which intends to commercialize the kit later this year. APH's Craig Meador said most coding classes for blind children pair them with sighted partners who communicate onscreen action, while Code Jumper should allow both students to participate in coding. The Indeed job-search site said data scientist job postings from U.S. employers continue to outnumber interested applicants, with the former rising 29% last month year-over-year, compared to a 14% uptick in the latter. As a result, Indeed economist Andrew Flowers said, "The bargaining power in data science remains with the job seekers." Indeed characterized data scientists as persons who usually hold degrees in computer science, statistics, or a quantitative social science, as well as having trained in statistical modeling, machine learning, and programming. Also noted was an increase in salaries for data scientists, with Indeed estimating the average salary in the area surrounding Houston, which topped last year's list, rose 16.5% over the previous year. Average pay for data scientists in the San Francisco Bay Area, the list's second-ranked metropolitan area, climbed 3.7%. Researchers at the Lockheed Martin Solar and Astrophysics Laboratory and the National Center for Atmospheric Research (NCAR) for the first time have modeled the complete life cycle of solar flares. The researchers used software that employs equations describing the behavior of plasma, the superheated material ejected from the sun as flares. The model simulates solar activity from 6,000 miles under the sun's surface up to 25,000 miles into its corona. NCAR's Matthias Rempel said previous simulations "modeled details very well but had to compromise when it comes to setting up the whole picture." Said David Jess at Queens University Belfast in Ireland, "Models that can better predict not only how large a solar flare will be, but also when it will 'go off', can help researchers and engineers make better decisions when it comes to safeguarding our Earth's infrastructure." Researchers at the Columbia, MD-based Tenable cybersecurity firm found previously unknown vulnerabilities in the access control systems of an identification card manufacturer and service provider used by federal agencies. The researchers discovered several weaknesses in the control system used by IDenticard, called PremiSys, which if exploited could allow unauthorized parties to gain access to secure buildings and disable locks; malicious actors also could exfiltrate user data or otherwise modify accounts using administrator privileges. PremiSys uses hard-coded usernames and passwords for administrator credentials that cannot be changed by customers. The system also uses default usernames and passwords for database access, which users can only change by sending preferred passwords to IDenticard. The Tenable researchers warned if a government agency uses the full suite of IDenticard services, including the PremiSys control system, a bad actor could obtain full access to secure federal buildings. 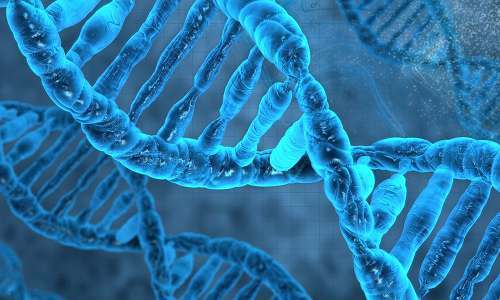 At the MRC Weatherall Institute of Molecular Medicine (MRC WIMM) at the University of Oxford and Goldsmiths, University of London in the U.K., researchers have developed technology allowing the three-dimensional (3D) exploration of DNA in a virtual reality (VR) environment. MRC WIMM's Stephen Taylor and Jim Hughes spearheaded development of CSynth, an interactive tool that lets scientists visualize an entire chromosome of DNA in 3D and track points of physical interaction. CSynth integrates interactive modeling with the ability to connect what users see in the model with freely available DNA sequence data online; users can dynamically adjust parameters and compare models to see possible effects on the genetic material. The CSynth software is freely available via a Web browser. The state of Victoria in Australia has approved a trial of driverless cars on rural roads as part of an effort to improve dangerous driving conditions outside urban areas. The state government gave a $2.3-million grant to the Bosch company to develop and test automated vehicle technology on high-speed rural roads later this year. The deal marks the first permit to allow automated vehicles for on-road testing in Victoria. The tests are designed to expose the vehicle to a range of weather and traffic conditions, with the goal of improving safety on rural roads. A survey of technology and engineering company hiring executives by IT service management company Modis and private, for-profit education organization General Assembly found 43% of technology and engineering job applicants lack the technical skills their positions require. The most sought-after skills include security, cloud, data, and artificial intelligence (AI). The hiring executives predicted cybersecurity would be the skill area having the greatest technological impact in the next five years, followed by cloud storage, data engineering, and computer vision. Meanwhile, 32% of respondents said machine learning would be the most impactful use of AI in their field, while 28% said it would be predictive analytics. Deloitte's Daniel Bachman suggested enterprises with talent gaps examine their own cultures and practices to see whether those factors are repelling applicants.